JIM HENSON’S BENEATH THE DARK CRYSTAL #1, an all-new twelve issue series debuting in July 2018. Writer Adam Smith (Jim Henson’s Labyrinth 2017 Special) and rising-star artist Alexandria Huntington unveil a new sequel to the hit film as Kensho arrives at the Crystal Castle where he was once a lowly acolyte and is asked to accept the responsibility as leader of Thra. But he will have to rectify sins of the past before he can decide if he - or anyone - is fit to rule. Meanwhile, the realm of Mithra is being rebuilt by the newly-crowned Ember Queen Thurma, whose own quest to decide the future of her land is thrown into question when another Fireling makes a claim as the true heir to the throne. JIM HENSON’S BENEATH THE DARK CRYSTAL #1 features a main cover by Benjamin Dewey (Autumnlands), along with variant covers by Eisner Award winners David Petersen (Mouse Guard), Ramón K. Pérez (Jane), and Dave McKean (Sandman). Print copies of JIM HENSON’S BENEATH THE DARK CRYSTAL #1 will be ON THE SHELF July 2018. 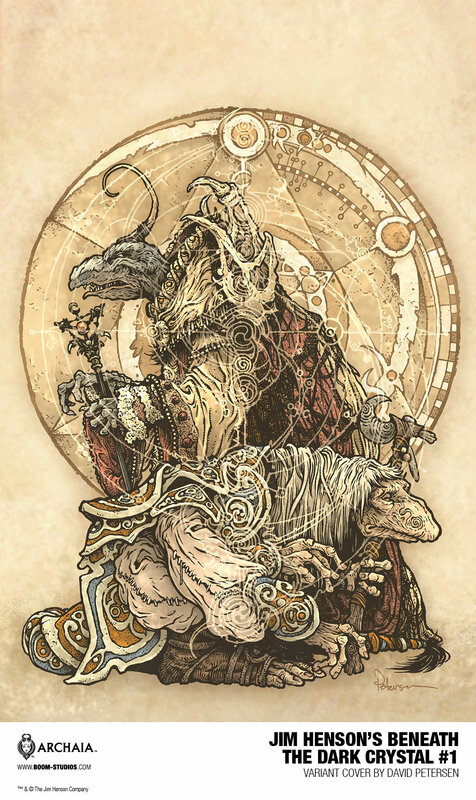 What do you think about Archaia continuing the Dark Crystal mythos? Let us know in the comment section below. Also, don’t forget to like, share and subscribe to all things Constant Collectible in order to keep you up to date with all the news & reviews from the world of GEEK CULTURE.